You’ve already filed for eviction so it’s just a matter of time before the tenant is out of the home, right? Wrong. 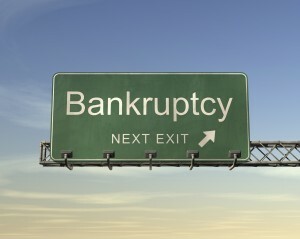 Filing bankruptcy creates what is known as a ”˜stay’ which means all payments to all creditors are immediately halted. Under the old bankruptcy laws, tenants who filed bankruptcy after being served an eviction notice, could remain in the property for months under the protection of the ”˜stay’. According to Edwina Davis, The Bankruptcy Abuse Prevention and Consumer Protection Act (119 Statute 23, 2005) was enacted in October, 2005 to provide some protection to creditors. Landlords are especially protected in some areas under the new law. After October 2005, any landlord who receives an order of eviction or ”˜judgment’ before the tenant files for bankruptcy is exempt from the automatic stay and is allowed to proceed with evicting the tenant (under ordinary circumstances). Even though it is an added expense, landlords should immediately seek the advice of a bankruptcy attorney, not doing so could result in costly court fines for violations. The most crucial information for landlords and property managers to know when a tenant files bankruptcy is what not to do. The following 3 steps will help keep the landlord, or property manager from losing a great deal more than just a few months’ rent. Avoid Pursuing Eviction – Pursuit of the eviction should cease once a landlord becomes aware the tenant has filed for bankruptcy. Of course, this information should first be verified by making contact with the tenant’s bankruptcy attorney. Landlords should also discontinue requesting delinquent rent and inquiring about when to expect it. Refrain from using the tenant’s security deposit – Using a tenant’s security deposit is considered ”˜being paid before all other creditors’ which is not allowed under a bankruptcy. Landlords must obtain permission to use the security deposit to cover delinquent rent. Landlords should immediately contact the bankruptcy court for permission to use the tenant’s security deposit. Abstain from applying new rents to pre-bankruptcy rents – Landlords must resist the urge to use subsequent rental payments towards delinquent rents. In the event a tenant decides to accept the lease and remain in the property, they must immediately resume paying the rent. Applying that rent towards the delinquent payments is considered a violation of the stay and could result in hefty fines for the landlord. When dealing with a tenant who pays late or partial rent, some landlords will recommend inspecting the unit as soon as possible to make sure that your property isn t being damaged.